The quality of our relationships is a reflection of our ability to give and receive love. When we first enter a new relationship we give our love freely, choosing to focus on the positives of our new found mate. Yet over time, our love becomes conditional, depends on our mood and focuses around keeping count of what our partner does for us. How can this be a recipe for great love to last a lifetime? Keeping the love alive is an active choice and sure isn’t the easy option but it certainly is the most rewarding. Here are seven suggestions to keep the love alive in your relationship. Imagine the difference in your words and actions if before you responded you always first asked “Is this loving?” Instead of finding fault with your mate, focus on what you love about him or her. Instead of trying to be right focus on growing as a couple. The more responsibility you take to stay in a loving space, the more your relationship will reflect this. Emotions run hot in love and as a result we often behaving in non-loving ways. For example, in the heat of the moment we say something hurtful that we would never say while feeling calm. Being in love and staying in love require learning to step-back from our emotions before choosing how to respond. Emotional management is a skill that takes time to develop. The first step is self-awareness so practice catching yourself when feeling emotional, and trying to stop first before responding. New relationships open up a whole new world of exploration and excitement. Yet this new-found-joy all too often tips over into losing touch with our own individuality and life. Although a big temptation, this can be a recipe for long-term unhappiness and eventually relationship breakdown as one or both partners wake up shocked to discover that their old self no longer exists. Outside interests bring new stimulation to your relationship. Take time to be alone or hang out with your friends on your own. Make room for your unique passions and creative pursuits, or simply do something you love to do just for you. Yes you’ve heard again and again that communication is essential for a happy relationship. But equally important is the ability to let go of any ill feeling as soon as a grievance is aired. Resentment destroys relationships. Refuse to hold on to past hurts; discuss what has bothered you and then let it go. Be a source of inspiration for your partner by living a life you love and encouraging your mate to do the same. Tap into what makes their heart sing, and help them bring more of that into their lives. Build their confidence through genuine acknowledgment of their strengths and passions. Encourage your partner to get out and chase his dreams, be courageous and do what matters. As a relationship develops, comfort tends to set in. Spontaneity and excitement can dwindle if we don’t put the effort in to keep the spark alive. A fabulous relationship needs fun, delight and frivolity. So discover fun adventures together, get in touch with your playful side, and try things you’ve never done before. 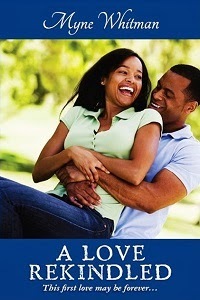 The sexual side of your relationship is worth cherishing – a time to bond emotionally, physically and spiritually. Rather than wait for your partner to inspire you, take ownership of your sexuality by nurturing your wellbeing and connecting with your inner sexiness. Value this sacred part of who you are.